Mobile internet, which had just been a distant dream till a few years ago is progressing so fast today that it is revolutionizing the entire framework of communication technology today. Mobile internet is basically an extension of the internet on mobile devices which allows the users to access internet even while they are on a move. However, that is not the only function of mobile internet. Mobile internet is a lot more than that. It is an integration of telecommunication technologies and internet in such a way that it provides solutions to all types of communication requirements of man today. With the amount of progress which has been achieved in wireless technology, sophisticated software and hardware design, the way we communicate has changed in quite a major way. In the last few years, not only has the use of cell phones increased in quite a dramatic way, but the way that people prefer to communicate and stay in touch with the world has changed too. People today are always on the move, and for this reason, the best way to stay in touch with others is through mobile internet. Today, with high technology cell phones which support numerous internet functions, people are using their favorite social networking sites like Facebook and Twitter while they are on the move. Mobile broadband technology is the next generation evolution which changed the way how we communicated. Basically, with the help of mobile broadband, the computer users can surf the internet, send and receive email from anywhere they like even outside their home. Mobile broadband works on the same technology on which cell phones work. It is all about the radio frequencies and waves. The cell phone radio towers and cell phones send packets of information back and forth through radio waves. 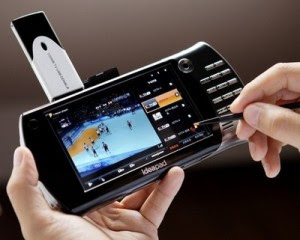 For cell phone broadband, the information packets can be data like streaming video, music files, web pages and e-mails. Basically, there are two technologies which are used to operate the networks of cell phones- CDMA (Code division multiple access) and GSM (Global System for mobile communications). GSM is quite popular in Asia and Europe while CDMA is popular in the US. There are quite major differences between these systems and the way that they operate. Both of these use different types of algorithms which allow several cell phone users to share the same frequency without interfering the usage of others. Mobile broadband is known as third generation mobile technology or 3G. CDMA and GSM both have their 3G technology solutions for allowing users to deliver high speed access to the internet on mobile devices. 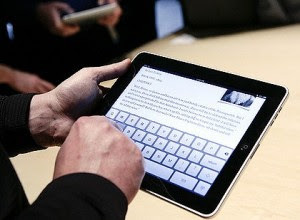 Mobile internet and broadband technology is the new trend in cell phone users. People prefer to listen to music, watch videos, send and receive emails and communicate to each other while they are on the move, and to be able to do that they need mobile broadband or mobile internet. With so many people hooked on to the virtual world and the mobile technologies, there is no doubt that there would still be many more developments in this field. In the past 15 years, the internet has fundamentally changed the way we work, play and communicate. Evolving wireless and mobile broadband technologies are now enabling the next major wave — the Mobile Internet. The next-generation Mobile Internet will enable consumers and businesses to connect and access new types of applications and new forms of information wherever and whenever they want. The development of this new Mobile Internet marketplace has just begun. In the next decade, the expansion of the Mobile Internet will likely be the fastest growing marketplace in the telecommunications industry. b'cuz it gave us many advantages when use it..